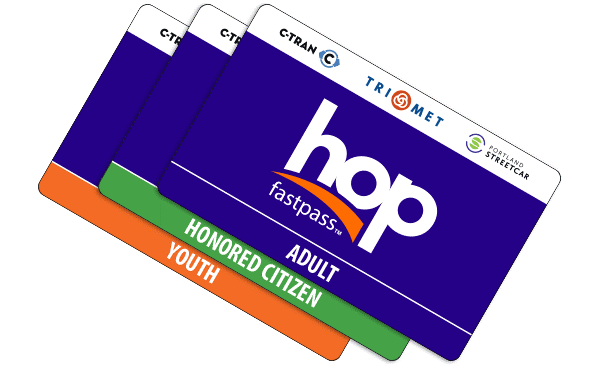 TriMet’s retail partners Albertsons and Safeway will transition to Hop Fastpass™ fare cards only. As announced in May, Albertsons and Safeway stores will phase out paper ticket and pass sales. By August 15, they will only sell and reload Hop cards. (They will continue to sell LIFT paper tickets.) Riders will still be able to manage their transit needs at major retailers, but they’ll do it with Hop. Hop makes riding TriMet, C-TRAN and Portland Streetcar easier and more affordable. No tickets! Hop stores fare on a plastic, reloadable card. You can reload fare at 400+ locations throughout the region. That includes Albertsons, Fred Meyer, Safeway, QFC and chains like 7-Eleven and Plaid Pantry. Day and month passes are earned, making transit more affordable. With Hop, once you take rides equal to the pass price, you ride free the rest of the month. Hop guarantees you never pay more than you should. 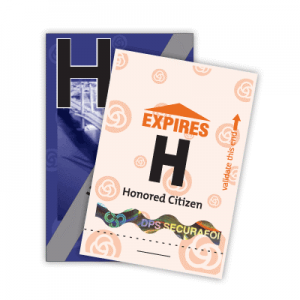 Buy an Adult, Honored Citizen or Youth Hop card. Load fare in the store, at the TriMet Ticket Office, online at myhopcard.com or by calling 1-844-MYHOPCARD. Tap the Hop reader every time you ride. A valid tap provides proof of valid fare. When purchased in store, a Hop card costs $3. The one-time fee helps cover the cost of maintaining and expanding our retail network. Need help getting a card? You may qualify for our reduced fare for low-income riders. Hop’s been helping riders access transit for more than year, and we’ve heard a lot of reasons why some are slow to make the switch. We want to set the record straight. Myth: You can’t use cash with Hop. False! Riders can use cash to load fare to Hop at the TriMet Ticket Office and throughout our retail network. Plus, we’re still accepting cash on board buses (no change given) and at many ticket vending machines. Myth: You need a bank account, email address, phone number or smartphone to use Hop. Absolutely not. Hop has an account registration feature that offers benefits like lost-card protection, but it’s optional. All you have to do is get a card, load fare and start tapping. Myth # 3: My location and travel information can be tracked using Hop. Wrong again. The Hop system collects anonymous ridership and travel pattern data for use in aggregate to look at broad ridership trends and help us improve service. Individual transaction data, such as where a person’s card was tapped and when, is only available to support staff to answer customer questions about their account. Albertsons and Safeway are the first major retailers to transition away from paper tickets. Fred Meyer and QFC will be next. We will continue to accept paper tickets and passes for now, but Hop is the better way to pay. Our ticket office in Pioneer Courthouse Square can convert unused paper tickets to Hop credit. Plan your trip.